You are reading the word "now" right now. But what does that mean? 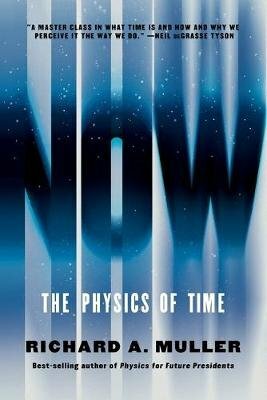 "Now" has bedeviled philosophers, priests, and modern-day physicists from Augustine to Einstein and beyond. In Now, eminent physicist Richard A. Muller takes up the challenge. He begins with remarkably clear explanations of relativity, entropy, entanglement, the Big Bang, and more, setting the stage for his own revolutionary theory of time, one that makes testable predictions. Muller's monumental work will spark major debate about the most fundamental assumptions of our universe, and may crack one of physics' longest-standing enigmas.